Sgt. 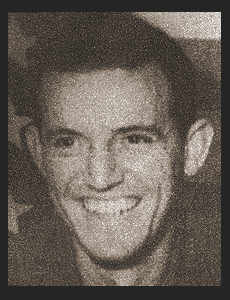 Joseph G. Curtis, Jr., son of Mr. and Mrs. Joe Curtis, Sr., graduated from Frederick High School, Tyler Commercial College; husband of the former Lou Ella Keele Entered the Army in April, 1944, trained in Camp Robinson, Ark. ; served in England, France, Holland, Belgium, Germany. Awarded Combat Inf. Badge, ETO Ribbon with three Battle Stars, Good Conduct Medal, Bronze Star, Pres. Unit Citation. An original story by Joe Curtis, Grandpa, What Did You Do In World War Two? is provided by his daughter, Mrs. Travis Akin. (The file requires the Acrobat Reader. You can download it free by clicking here. ).